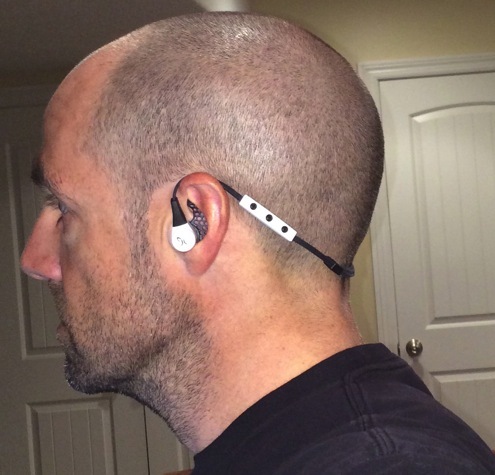 You are currently browsing the Fat Cyclist weblog archives for October, 2013. I’m exhausted. Just cooked. I am tired in a way that I’ve never been tired before. I think it’s obvious why. Without really meaning to, The Hammer and I have managed to ride ourselves through a ridiculously ambitious season. We’ve both been faster than ever, and it’s been a long time since The Hammer has not finished a race on the podium. But, behind the scenes, we’ve been wearing out. For example, since racing the Salt to Saint, The Hammer has gone out on the road with me exactly one time. And during that one time, about three miles into the ride, she simply said, “I don’t want to do this anymore,” turned around, and went home. I was not surprised; I was not confused. I knew what she meant. Because everything sure feels steeper. So a few days ago, I was texting with Kenny, who is racing the 25 Hours in Frog Hollow in the solo singlespeed category, as are The Hammer and I. Of course, that’s only a partial truth. When it comes down to it — when we line up at the starting line — I know that I’ll get all charged up. I know that I’ll race hard. I know that I won’t get all lackadaisical and give up part way through the day. That’s not my way. But when this race is done, I’m looking forward to months and months with no races at all. I’m looking forward to putting together a season next year that focuses less on racing and more on riding. In addition to this last one big race, I’ve got some pretty big personal stuff going on at home right now. Not bad stuff, just big work-related stuff (and some behind-the-scenes blog stuff that takes some energy and time). And I’ve got to focus on it this week. So, I’ll be back Tuesday, November 5. ’Til then, remember: ride for fun. And if you’re racing, do that for fun, too. 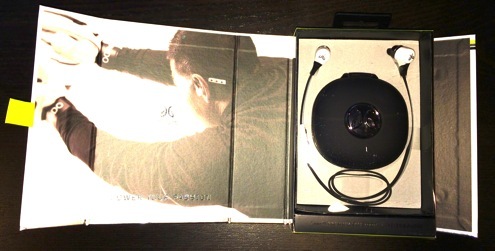 A Note from Fatty: Jim R — who comments on this blog as “Cyclingjimbo” — won the grand prize winner in the contest I put on for World Bicycle Relief last July. What was that grand prize? 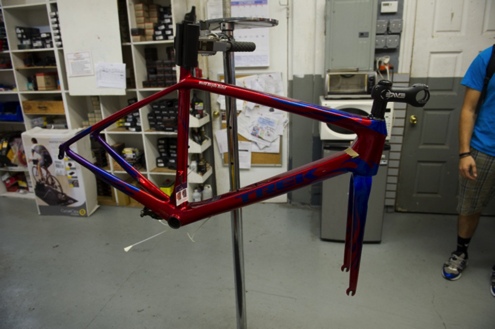 A full-on dream bike: a Trek Madone Series 7 Project One Frame with the ENVE wheels and cockpit and SRAM components. Yeah. Like I said: dream bike. I got Jim to promise to write up a story and take pictures once he got his bike, and he did not disappoint. So now, for your collective jealousy, Jim’s story of what it’s like to win this amazing bike. We were on a family vacation in Lake Placid when Fatty had his WBR drawing. Our son, our niece’s husband, and a good friend of theirs had just competed in the Lake Placid Ironman the weekend before and we were all in recovery mode. Imagine my surprise when I opened my email that afternoon to read I had won the Trek-Enve-SRAM bicycle! I spent a good part of that weekend on the Trek web site looking at the Project One options, and my brain was quickly saturated with the possibilities. I thought I had it all worked out and let it rest for a while. Our first week back home was hectic, not only catching up on the work that accumulated while we were away, but also working with the great folks at High Road Cycles in Wayne, PA to figure out just what I would need in frame size, cockpit components, gearing, and so on. Pat and Isaac at High Road were absolutely great, and Isaac even set me up with a Madone to take out for a spin after a preliminary fitting, just to see how it felt. 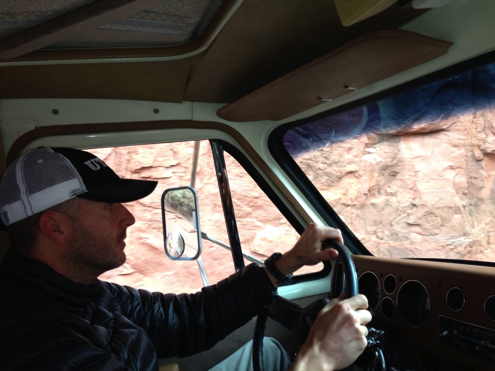 About that time Fatty and The Hammer took off for Leadville, and the bike project understandably took a short break. On August 19 Fatty sent a message to Katie at WBR, Jake at Enve and Brandon at Trek with the subject line “Please help Jim (Project 1 Winner) with his Prize.” I was able to communicate with each of them very quickly and after a little more thought on the frame conveyed my choices. With my wife’s help (she is the artist in the family) I modified the color scheme of the frame a bit, and I have to say the final piece is really stunning. Now all I need is a quiet afternoon at work or a weekend with some free time for a ride (wedding anniversary celebration this weekend with a short trip, so I am still waiting). 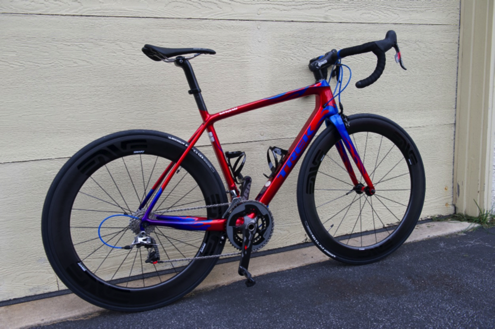 This is one really wonderful bicycle, and the folks at World Bicycle Relief / SRAM, Enve, and Trek have been absolutely stellar in working with me to put this together. The bicycle is a far better machine than I am a rider, and I will do my best to live up to it. 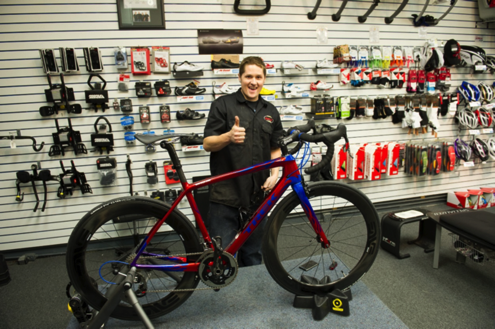 Thanks to Elden for putting this great fund raiser together; thanks to Katie at World Bicycle relief, Jake at Enve, and Brandon at Trek for kicking in such great components to make this once in a lifetime dream a reality. 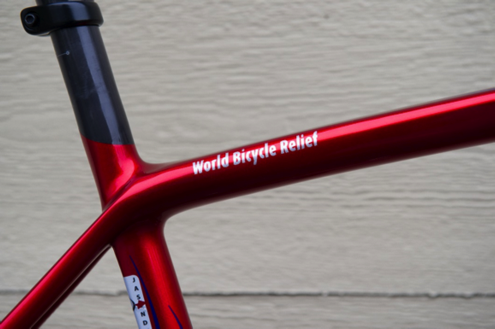 World Bicycle Relief will remain high on our donations list for many years to come. And special thanks to the great folks at High Road Cycles for working with me and putting this great machine together so well. 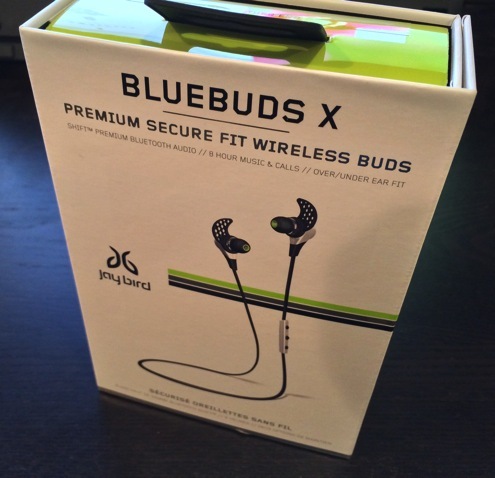 A Note from Fatty: If you read my post about Jaybird Bluebuds X headphones early yesterday, you’ll have missed that FatCyclist.com readers can now get a code to get 25% off MSRP, making for a pretty awesome deal. Check out yesterday’s post for more info, but make sure you order before November 5, because the coupon expires then. I don’t pretend to be expert at fixing bikes. Mainly, I make no such pretense because I wouldn’t be able to get away with it. Specifically, as soon as I actually start to work on a bike, it becomes painfully evident that I am completely awful at it. I have no skill, and I have no knack. When I work on bikes, my hands get clammy and my fight or flight reflex kicks in. If at all possible, I opt for flight. Sometimes, though, I’ve got to fix stuff. Or maybe put a bottle cage on my bike. 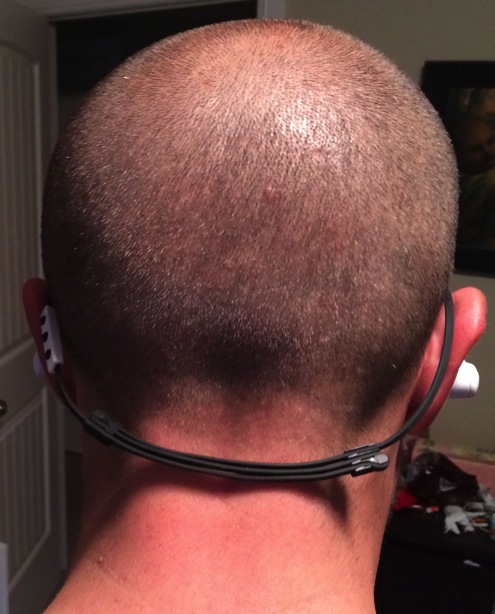 Or tighten something that’s rattly. And more often than not, I use Fix It Sticks to get the job done. 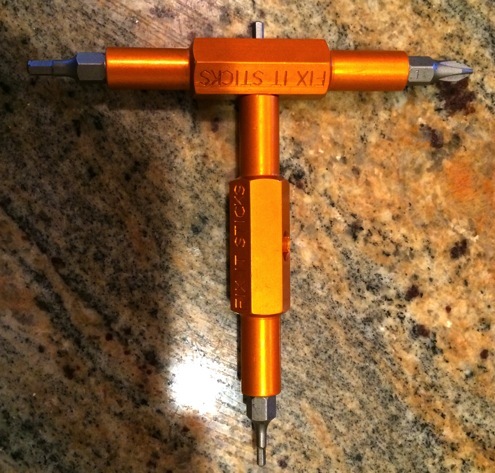 And — as strange as it feels for me to say this about any tool at all — I love these things. What Are Fix It Sticks? They’re incredibly light aluminum sticks (you can also get stainless steel, but those aren’t as light) with a hex-bit-sized hole in the middle, and a bit permanently stuck in at either end. It’s a simple and ingenious system. The obvious use case for Fix It Sticks is field repairs. Fix It Sticks are portable and light, after all. Probably that was what the inventor had in mind when he designed these. But the truth is, what I really love these for is my ordinary, everyday stuff. For my in-the-garage quick fixes. Because, as it turns out, Fix It Sticks are incredibly versatile, and excellent for working in tight spots. 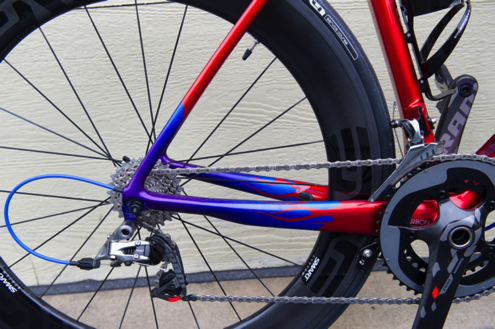 Let’s take a classic example: attaching a water bottle cage to your bike frame. using a triangle wrench or an L-shaped wrench, you’re going to have some awkwardness as you work the angles of the wrench around the frame and the cage itself. With a Fix It Stick setup, though, you just take the stick that fits — by itself at first, which means the short (four inches), straight tool is unlikely to be in the way of anything — and twirl it between your thumb and fingers to get the bolt snug, then plug another Stick into the center hole and use that to tighten. Of course, removing bolts from tricky spots works the same way: Make a “T” to start loosening, then use a stick by itself to spin the bolt the rest of the way out. It’s noticeably easier than using other tools in hard-to-reach spots. And easy is good. Of course, I have a wish list for Fix It Sticks. The first item has to do with pricing. A pair of Fix It Sticks costs $29.99. 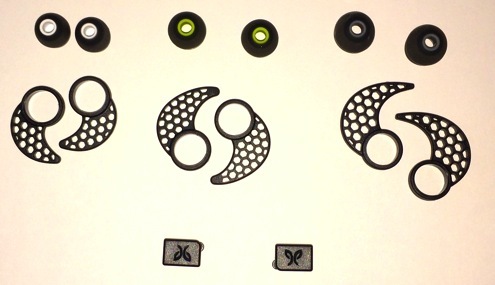 And really, to cover most of the bits you use most often, you need a couple pair. And that’s $57.50 (though you can specify which bits you want for all those sticks). The other thing I would wish for would be that I could get Fix It Sticks that just have sockets, letting me put bits in and take them out at my leisure. That may not be the greatest idea for Fix It Sticks that are going in a jersey pocket (I can imagine bits falling out of the Sticks as I ride along), but honestly, I’m using these a lot more often in my garage than in the field. This way, I’d be able to just have a couple of Sticks and the very complete set of bits I already own. That said, the eight bits I have in the four Sticks I have take care of me for about 90% of the bike-related fixes I am capable of attempting, and I don’t have to worry about swapping bits in and out. 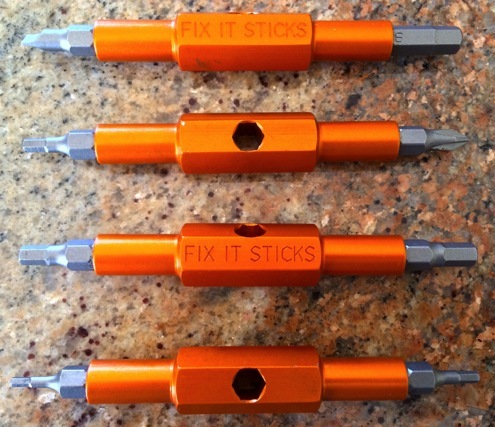 You can learn more about Fix It Sticks, as well as purchase them, at FixItSticks.com. Or if you click here to buy them at amazon.com , I get a little cut, too. Which I am in favor of. A Note from Fatty: Earlier this week, I posted a blog entry asking for help on crewing for Kenny, The Hammer and me at the 25 Hours in Frog Hollow. I was astonished at the number of people who said they’d like to volunteer. Or, more to the point, I was astonished that anyone at all wanted to volunteer. So, a huge thanks to everyone who emailed me, saying you’d like to help. Thanks (but not as much) also to all of you who commented, saying you’d like to help but have a good excuse for why you’re not going to. I did, I am happy to announce, pick a crew chief. Today’s post is his application. I’m Zach…and to make my pitch short and sweet, I’ll start by saying simply that I’ve ridden countless road, mountain, and cyclocross races in my lifetime. And I’ve owned, operated and wrenched my own bikes for decades. I’ve put more miles on my bikes than all my cars combined. But that’s not what makes me the most qualified person to be your crew chief for the 25 Hours of Frog Hollow. What makes me the most qualified crew chief is Fred. Fred, in the simplest terms, is to a crew chief what Kit was to the Knight Rider. 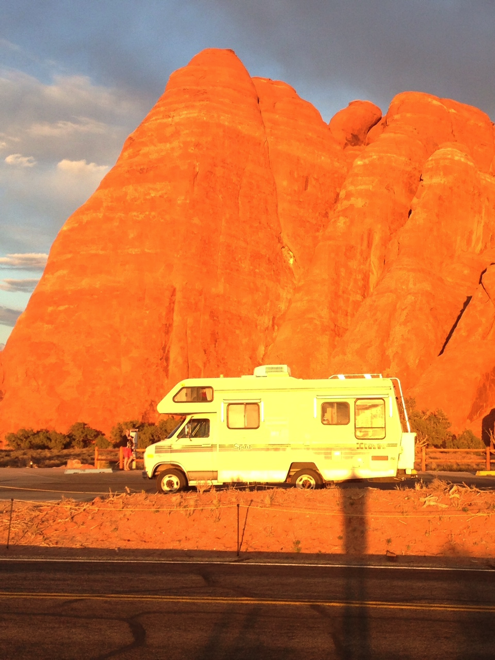 Fred is the most self-sufficient, sophisticated, and highly trained Recreational Vehicle you have perhaps ever witness. He makes Kit look like a child’s toy. 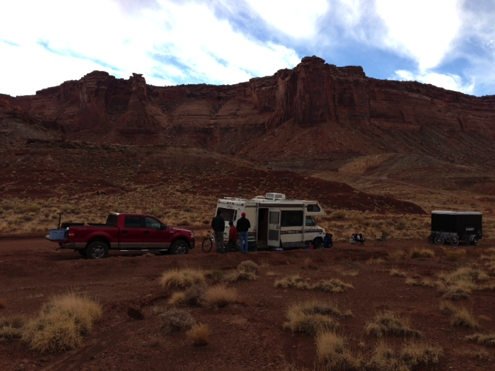 Fred has nimbly danced down the Horsethief Bench, all while towing a trailer filled with mountain bikes in the middle of November on a layer of snow and ice and slippery red clay. And then turned around and gone right back up that trail, taking us to safety. Fred has warmed the bodies and souls of racers and riders at various events, and brings with him an ambiance and secure “homey” type feeling that a person needs when they’ve been running on gels and waffles for 18 hours. Fred knows what a racer needs when he’s in distress. And he translates that need directly to me, and others who he has trust and faith in. Fred is a refuge for the struggling and a beacon to the hungry. 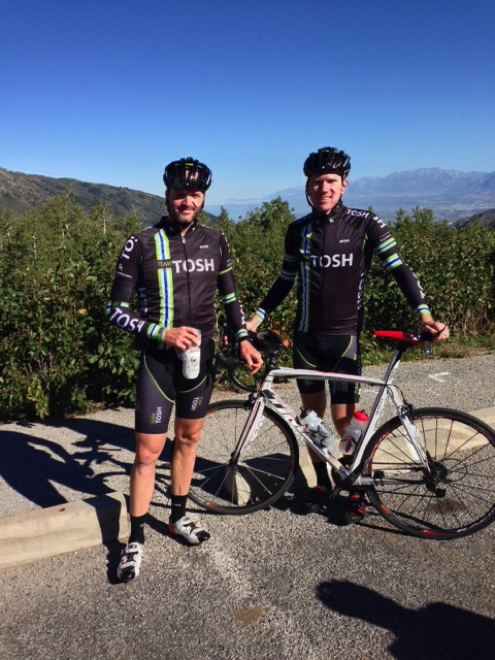 I’ve also started the TOSH cycling team and have plenty of support crew buddies at my disposal. Fred and I await the mission, should you choose to accept us. And we promise nothing short of excellence, precision, and enough jocularity to keep you going for at least 26 or 27 hours…if that’s how long it does take you to finish the 25 Hours of Frog Hollow.